To stand out from the competition, companies with premium products should move away from the norm and print on stock that is different from the rest. With printing technology advancing at a rapid rate, it's now possible to print on more unique materials, such as silk. Thanks to its distinct advantages and unique qualities, silk paper printing is a finish that companies should be using as they chase that luxurious feel, but what is it? Here's what silk paper is, how it's used in printing and why it's good to use for high-quality products. Silk paper has a soft feel which can be considered more as a fabric than your traditional paper. It's made by binding silk fibres together to create such a luxurious feel to touch. This makes it an ideal choice for highlighting premium products and services like yours. Silk paper produces a coating somewhere between a matte and glossy finish. On silk paper, the colours used will remain vibrant, highlighting the smallest details while reducing shininess. Silk fibres are sometimes also combined with other materials, such as cotton. This ends up producing a paper which has a more crisp finish. To really stand out, silk paper is usually available in both natural tones or dyed in a wide range of colours - whatever suits your needs and helps remain on tone of your brand. It also enhances the text which doesn't compromise the final images. While silk does have its benefits, there's an even better technique that your luxurious products and services will benefit from. 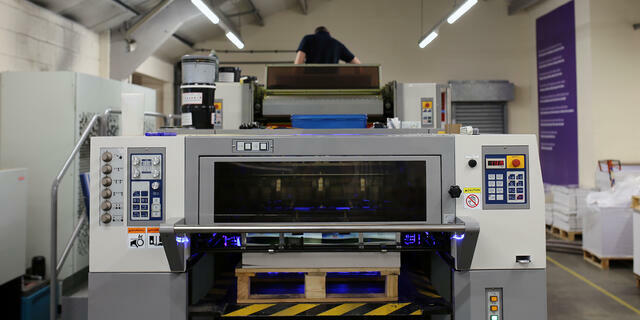 An LED UV printer is one state-of-the-art machine that can print on silk paper and use the stock to its full potential. Silk coated paper has a low surface sheen and a truly luxurious feel. And as it can be printed on an LED UV press, it provides an excellent ink to paper contrast. By being printed in this method, the silk coating makes the colours a lot brighter compared to other stock. It's more defined and is a much better choice for readability. This is a stock that can separate an ordinary brochure from a luxury one as you're combining unique, high-quality paper with the best printing machine available on the market today. The overall feel of the silk coated brochure instantly makes readers feel that plenty of effort has gone into it, and isn't like any other brochure they've seen. 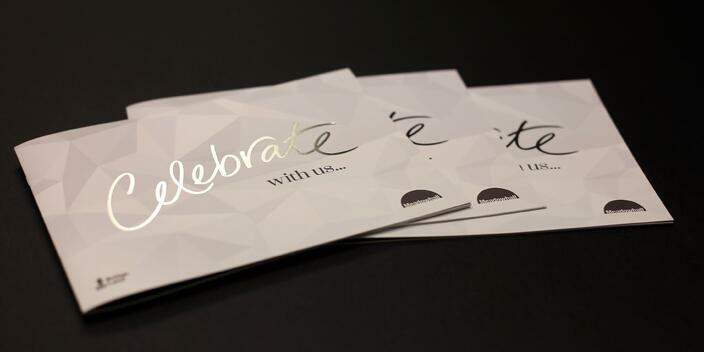 The advantage of combining paper like silk with innovative technology like an LED UV printer is that your company benefits from the UV curing method which only enhances your brochures. UV curing is a drying technique which uses light instead of heat to dry the inks, coatings or adhesives that have been used. As soon as these chemicals are exposed to the light, the inks instantly harden. No loss of volume, no shrinkage, no environmental pollutants and no loss of coating thickness as there are no solvents to evaporate. The physical properties are drastically improved and allows the silk finish to benefit from improved gloss. It has improved scratch, chemical and hardness resistance, which simply means it's difficult to cause scratches on the brochures. It won't be affected if chemicals leak on it and it won't lose its shape either. Despite it maintaining hardness resistance, UV curing helps improve the elasticity, which allows the brochure to return to its normal shape once opened. Which Products Use Silk Paper? The fact that silk paper is more expensive than your everyday paper, such as basic card or laser paper, is already a good indication that you won't find this stock on ordinary brochures. However, silk paper is often used by companies that produce glossy magazines. Glossy magazines use silk to show off their content to appear superior to other options on the shelf. You're able to apply the same technique which high-end magazines use to your premium products. Other suppliers stick with entry-level stock and standard litho printing, but your silk LED UV finished product will be more recognisable and readers will be more prone to picking it up. While some readers will see your brochure in a similar vein to classic, glossy magazines like Vogue and Time, be aware that some readers might think differently. 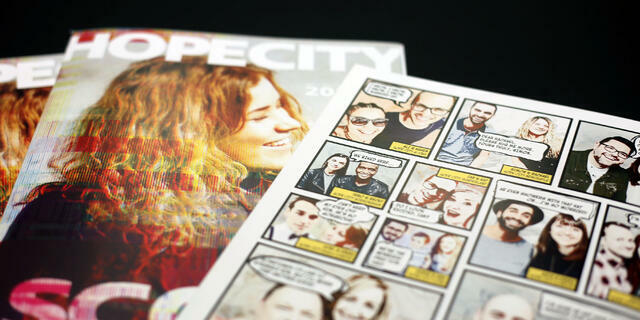 In recent years, there's been a shift away from glossy magazines. Now, the growing independent magazine market, for example, puts almost as much value into the overall aesthetic and feel as it does the content contained within. The beautiful lustre of silk paper also makes this more ideal for classy wedding venues and other places for special occasions. This is because these products don't necessarily need an entire silk brochure, as small pieces can be used to add a highlight or accent to a project. Sticking with the above example, if you're printing a luxury brochure for a wedding venue, then you have options to have certain areas feature pieces of silk. This can include your logo, certain headings or any other areas you'd want your readers to focus on more. This is because not every page needs to be the same material, especially since a silk finish can be added later. There are many different types of silk paper available, which means you can create an even more bespoke brochure. Commercially produced silk paper is an option, while another attractive aspect of this stock is that it can be stitched which makes it perfect for mixed media projects. This is a technique used to bind the papers of your brochure together, helping it make it feel like a brochure, rather than pages feeling like they've been stuck together. Your business then has a brochure that is very different to the competition, and readers are more prone to picking it up and keeping it in their hands because it looks visually appealing. Even though silk paper has its benefits, uncoated papers look even better in comparison when using the same printing technique. Don't let the names fool you. Heavy, uncoated matte stock provides a much more luxurious feel to whatever you're creating compared to silk. It's proven to be the best paper type for the best printing technique available today. Uncoated paper boasts a softer finish compared to silk, and features tactile quality which feels a lot better in the reader's hands compared to a silk finish. This stock is also a lot more absorbent than silk and uncoated paper, which means that the ink appears much flatter and looks more modern, so it's difficult to deny the luxury feeling it provides. Although LED UV printing promises to deliver perfectly consistent quality, the slight issue with silk is that it can still result in ink bleeding through the paper, a problem that never occurs with uncoated stock. Plus, with no added layer on the surface, this finish results in a more natural look and feel while the greater variety of options allows you to use even more colours, visual effects, surface textures and even scented papers. With LED UV printing specifically designed to produce a sharper and more defined finish, using uncoated material will feature more vivid colours that make your products stand out like they deserve, which attracts customers and develops branding. Finding the right way to produce a high-quality brochure to show off your luxury product needs a lot of attention if you want to stand out from the competition. It's so easy to get wrong when it comes time to producing and printing your premium brochure, and it's even easier to get lost amongst the noise of marketing materials from the competition. Ensure you make your brochure perfect right away to stand out in this digital-first world. Download your free guide today on how to produce a luxury brochure where you'll receive information on how to design the layout, photograph your products, the types of stock to consider and so many more useful tips.